This book “Riva Ridge – Penny’s First Champion” reaffirms his rightful place in racing history and in the hearts of his fans. 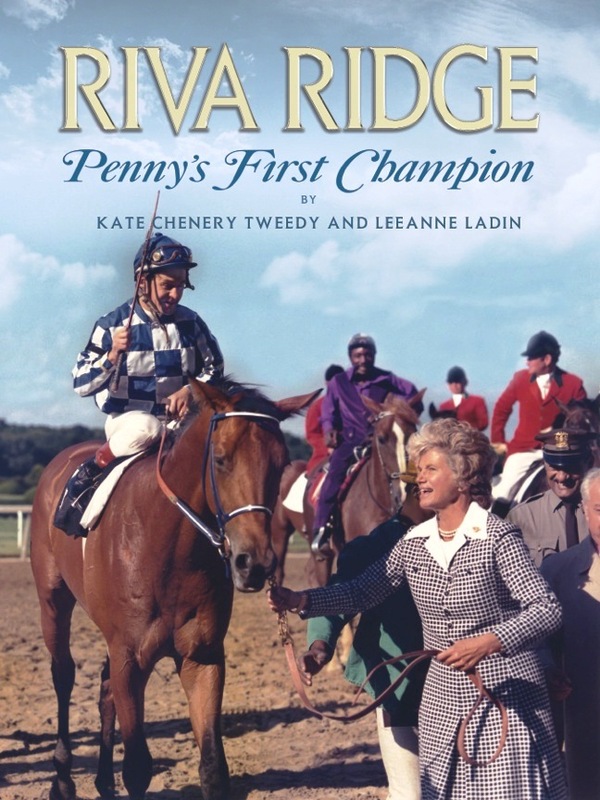 “Riva Ridge – Penny’s First Champion” by Kate Chenery Tweedy and Leeanne Meadows Ladin will be an 8 x10 soft cover pictorial history of 84 pages with many rarely seen color and black and white photos from Penny Chenery’s private collection. 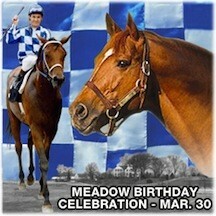 “The First Lady of Racing” has also written the Foreword about her first champion. We are publishing the book this year as a limited edition collector’s item to mark 2012 as the 40th anniversary of Riva’s Derby and Belmont wins.